Major reforms have been enacted, but a new wiiw study argues that the introduction of inflation targeting and increase in the effective retirement age will do more harm than good. 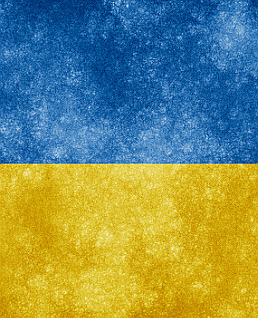 The reform effort in Ukraine since the ‘Maidan revolution’ of 2014 has been significant, to a large extent due to the pressure from the International Monetary Fund (IMF). However, not all IMF-led reforms are justified by the economic context. The switch to inflation targeting as the new monetary policy framework has been at best premature; the NBU’s inflation target looks too ambitious and will likely result in an overly restrictive monetary policy. Besides, the flexible exchange rate regime (which accompanies inflation targeting) may have destabilising consequences for the economy. Similarly, there is no economic rationale for a higher effective retirement age. The country’s statutory retirement age is quite low, but it is more than offset by the low life expectancy of Ukrainians. With the approval of the IMF, the National Bank of Ukraine (NBU) has switched to inflation targeting as a new monetary policy framework, accompanied by a flexible exchange rate regime. Initially, the inflation targeting regime remained largely on paper because of extensive capital controls, which were imposed in spring 2015 in order to stop the freefall of the currency. However, capital controls have been progressively relaxed in the meantime, potentially rendering the exchange rate more flexible. Our analysis suggests that the switch to inflation targeting has been questionable and, at the very least, premature. First, the presumed success of inflation targeting as a universally applicable ‘magical tool’ to reach low and stable levels of inflation in many countries has been largely due to other factors rather than the inflation targeting concept. Second, the NBU’s announced inflation target (5% in the medium term) appears to be too ambitious. Experience from other countries suggests that sticking to this target at all cost will likely require a consistently restrictive monetary policy, which will constrain Ukraine’s growth prospects. Incidentally, the NBU’s inflation target set for 2017 (8+/-2%) will be missed by a wide margin: inflation will end up being around 14% on an end-year basis. Finally, given the numerous political and geopolitical uncertainties and the ‘thinness’ of the country’s foreign exchange market, under the inflation targeting regime the exchange rate will likely again become vulnerable to speculative attacks. Given the high degree of dollarisation and the related prevalence of so-called ‘balance-sheet effects’, this will likely have grave effects for the real economy. These effects will be further amplified by attempts at macroeconomic stabilisation in response to exchange rate shocks by using ‘classical’ inflation targeting instruments, such as interest rate hikes. The experience of other countries in similar circumstances – both in Central and Eastern Europe and elsewhere – suggests that a preferable strategy would be to smooth exchange rate fluctuations via interventions rather than monetary policy instruments. Another major effort undertaken recently has been a comprehensive pension reform. The final version of the reform adopted in October 2017 abandoned the initial IMF demands for a higher statutory retirement age. Instead, it envisages a gradual increase in the effective retirement age by (i) tightening the number of years in service requirement, and (ii) abolishing early retirement schemes for a wide range of occupations. Our analysis suggests that the current situation in Ukraine’s pension system hardly justifies such a step. The country’s statutory retirement age may be indeed rather low, but it is more than offset by the low life expectancy of Ukrainians. As a result, the share of pensioners in the total population is not particularly high by international standards. Besides, while Ukraine’s Pension Fund may be in deficit, this is not very different from the situation observed in other countries, and there are no compelling reasons for the Pension Fund to be balanced in the first place. To the extent that any reform of the pension system in Ukraine is needed at all, it should be a part of a larger program aiming to curb the shadow economy. As long as the shadow economy remains a fact of life in Ukraine, a ‘second-best’ solution would be to partly reverse last year’s tax reform, which would involve raising again the statutory social security contribution rate. This is a summary of the recently published wiiw Policy Note and Report Nr. 19 ‘Ukraine: Selected economic issues’.